Customers who order from our Web-shop make a conscious decision to order from Kramp. Customers who order from our web-shop make a conscious decision to order from Kramp. They know their products will be delivered quickly, usually next day. Not only that: we’re leading the way with our modern e-business. We’re following the current trend and the increasingly changing needs of our customers — throughout Europe. With our service - dealers, workshops and production companies in the fields of agriculture, forest and grasscare, construction machinery, as well as OEM can choose from a comprehensive selection of more than 700,000 parts and components with confidence. Ordered today, delivered tomorrow. All of these factors make Kramp much more than just a wholesaler. As a modern e-business company, we are a strategic partner for retailers — and our future is ahead of us! This is not only the only area where our strengths lie. 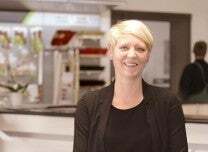 We also have a great advantage: we are active in technically demanding and rapidly developing markets. Thanks to innovative developments, we established ourselves as Europe's leading wholesaler in the field of agricultural technology. We also service the forest and grasscare, construction machinery and OEM markets. This includes a versatile range of sophisticated services as well as a high-quality product range and extensive expertise. 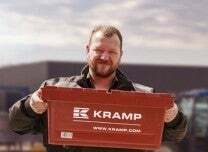 Our slogan speaks to our customers from the heart: Kramp. It's that easy. It’s never been easier to keep pace with progress!